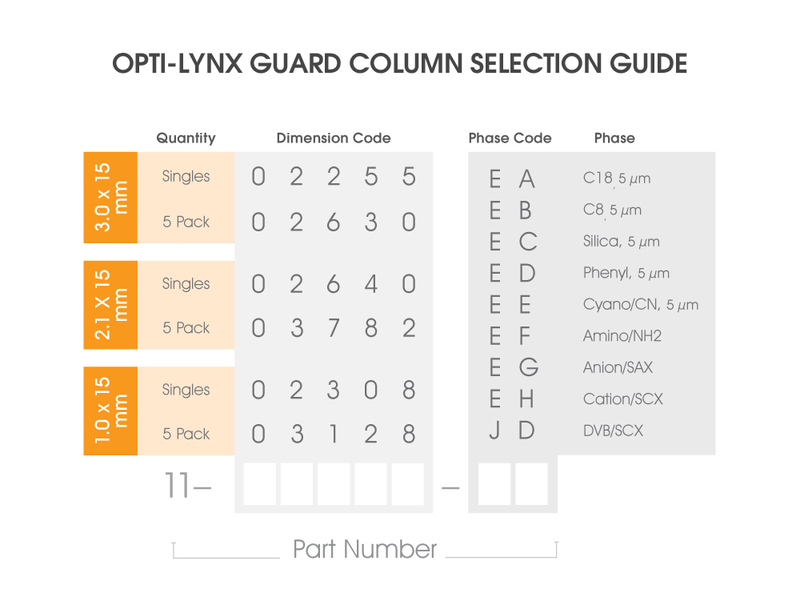 The OPTI-LYNX™ Guard Column is a high performance, cartridge-based guard system, suitable for use with any analytical column. Some cartridge-based guard column products offer convenience with a price: higher internal volumes. At Optimize Technologies, we refuse to compromise performance for anything. OPTI-LYNX™ utilizes low dispersion component interfaces to keep extra column volume to a minimum: connection paths have a total internal volume of less than 2 µL. You get quick-connect convenience and low dispersion, all in one package. Click the button below to add the OPTI-LYNX™ Guard Column Cartridges to your wish list.